At six o’clock in the morning, the day begins for the bull-minders. This group form the true guardians of the Running of the Bulls. They are the people who are responsible for making sure that the Bulls reach their destination in the pens in the bullring after they are released from the pens in Santo Domingo. Their task entails a real sense of responsibility: to watch for the Bulls on the course, anticipate their movements, direct and lead the bulls forward if they stop or stall. Their work is vital in keeping down the number of gorings. But, as they are only humans, they cannot always succeed in their efforts. The bull-minders form an authentic close group: eleven men (women have never formed part of this group) who are all in excellent physical shape and who never fail to turn up morning after morning. Should they feel indisposed or ill, they take some medicine or other to alleviate things and come to their posts. Each 100 meters they take charge of a particular stretch of the 850 meter course almost like relay runners in a normal race would do. This team is responsible for all the different stages of minding the bovine breeds throughout the day: at the Running of the Bulls… where the young frisky steers are released in the bullring… at the afternoon bullfights when the meat is cut up… at the late night encierrillo when the bulls are brought up to the pens in Santo Domingo… from 6 in the early morning to 10.30 at night. They take over from the mayorales, ranch-hands who take care of their own bull-breeds, until it is time to hand them over to the bull-minders. Every evening, during Sanfermin fiestas, at about 10.00 p.m. all eleven go down to the pens at Corrales del Gas, the ‘hotel’ where the Bulls are spending their final days of life and they bring them up to the small pens in Santo Domingo in readiness for the following morning when the bulls will be released onto the streets to make their way to the bullring. This particular event is carried out in sepulchral silence, almost without light, when the bulls are brought up through the streets to the pens. This event is commonly called the encierrillo; (‘the Little running’). This is a ritual repeated each day and only followed by a few hundred watchers who line the route in respectful silence. One of those magic moments of the Sanfermin fiestas. Fran Itarte celebrates his 31st edition of working as a bull-minder, the second-longest member of this curious group. His blue eyes light up when he tries to explain what he feels deep inside in the heart of the fiestas. He began running himself, when he was just 15 years old and at the early age of 18 he was signed up as a bull-minder. On his very first day he put on a new pair of sneakers and he arrived a little late. The municipal policemen were almost going to refuse him entry to the course. He was born in Peralta, a town located in the south of Navarra, but he has been living in Pamplona for a very long time now. He manages a fish shop in which he also reveals his charm and good humor. Just like any other day, after the Running of the Bulls, all eleven get together with some family members and friends and have some brunch in the Chez Belagua café in Estafeta. Their hosts treat some royally. Here they can relax again after all the tension generated by the bullrunning event. It’s here that I meet up with Fran to have a chat and try to probe that passion for the bulls which fires these men so much. ¿Have you ever dreamed of bulls? Quite often, but precisely last night I was dreaming all night about the Running of the Bulls. I was shouting at some runners “get down into the sewers; the bulls are going to pass over them”. What did you think of today’s bull-breed, The Torrestrella? This is a bull-ranch that I like a lot and today there were three of them that I was charmed by. They had white skin and black lines running all across them. They are called “burracos” because in Andalucía there are birds called like that and which have just those same colors. Perhaps the word comes from “urraca” (magpie). Although I must say, my favorite-looking bulls are the salineros, (‘spotted’) with a white skin base with red lines running through them, as if a bucket of red Paint had been thrown over them. At what time did you go to bed last night? We usually have dinner together and we then head off early to bed for a timely sleep. And what if you get sick some day? Impossible, we cannot miss any. We have taken part in the bullrunning with all kinds of ailments and wounds. Nolotil medicines have saved us on many occasions. Your uniform is a green polo shirt and a pair of blue trousers. What does the green stand for? I usually say we are dressed like gardeners, like the workers from City Hall. They did not put too much thought into it when it came to deciding on our outfits. You know a lot about the Bulls, I imagine. How can they move so fast when they are so big and heavy? The movements of the bulls when it is relaxed seem slow and awkward, because they are making as little effort as possible. But when it comes to the vital moment, they are electrical, explosive; they reach a 100 in a matter of seconds. Besides, the pure fighting bull breed has improved genetically, which is giving them more potential. At a short distance, how wide are its horns? They could measure 80 cm. or more, but the feeling is that they are bigger because of the form of the whole animal. I know a girl, a vet, from the University of Leon who is working on a Ph.D. thesis about the horns of the Bulls. She takes measures from all sorts of angles! And what does it feel like to touch a horn? On touching them, you feel that you are just a worthless thing; you feel such a sense of impotence. And when they catch you with their horns you feel ridiculous, as if you got an enormous thump. I have been gored a few times, I can speak from experience. However, the morphology of the horn means that when the tip of the horn penetrates the body it extracts the tissues and what is most damaged is the flesh itself. That was explained to me by the head surgeon who worked in the bullring infirmary in Jerez de la Frontera, in Cádiz. How does the skin of the bull feel to the touch? Doesn’t it pain you to see the Bulls that you run with, die in the afternoon? Sure it does, it pains us the bull-minders, and it pains the bull-ranchers and it pains all those who work close to the bull. Because all of us are very fond of the fighting bull. The Miura are surrounded by a certain mystic. Does that coincide with the reality? It certainly does. This is the most distinctive and rare bull-breed of them all. Their behavior is sociable. They like to stay together. But, if they do get something into their heads, you’ll never change them. For example, if they decide that they do not want to come out of the pens, you can be waiting the rest of the day there, for they will not come out. One of them once jumped over a three-meter fence and got boxed in and stuck in a gap hole. They tend to have atypical reactions and that is where their danger lies. They come from a breed which has been brought up in the fields for the past 170 years or more. I would say that they live in the wilds. 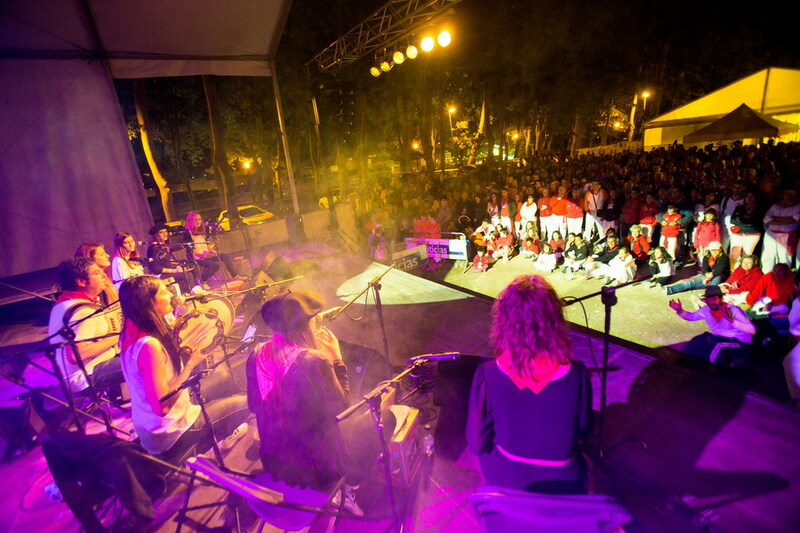 Music is the heart of the fiestas. Music without tags. Music that can take us to any part of the world in just seconds. 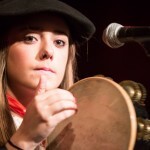 These days in Pamplona there is a cacophony of sounds and rhythms. Sanfermin is a dance that dances with you. Serene, elegant or drunk, the party-makers move up and down the streets, incessantly. Take a moment’s rest at any corner of the old quarter, in any narrow street whatsoever and you soon begin to notice the sound of beating drums, the lively tone of flaring flutes, the latest pop song, the ancestral sound of the wooden txalaparta, the piercing blare of the saxophone or a batukada… a lovely chaotic rhythm locked in anarchical harmony. The city oozes music. Both the spontaneous and the well-rehearsed. 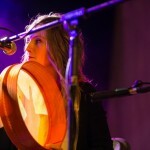 A program of more than 450 concerts offers the party-seekers the possibility of sharing and enjoying for free the art that most quickly makes us feel as one, makes us realize the same at bottom, all part of the human race. Because, the singular essence of the Sanfermin spirit is that sense of brotherhood with those around us, who dresses more or less the same as you, who wishes to enjoy the party more or less the same as you and so, who brings out the best to share it with the rest. You take hold of the one next to you, although you don’t know him at all, you hold him by the shoulder, you do the same with your other arm out and you feel that connection, that link that becomes a chain that connects to everyone, and when you feel that, you let the music move you in unison with all the rest. 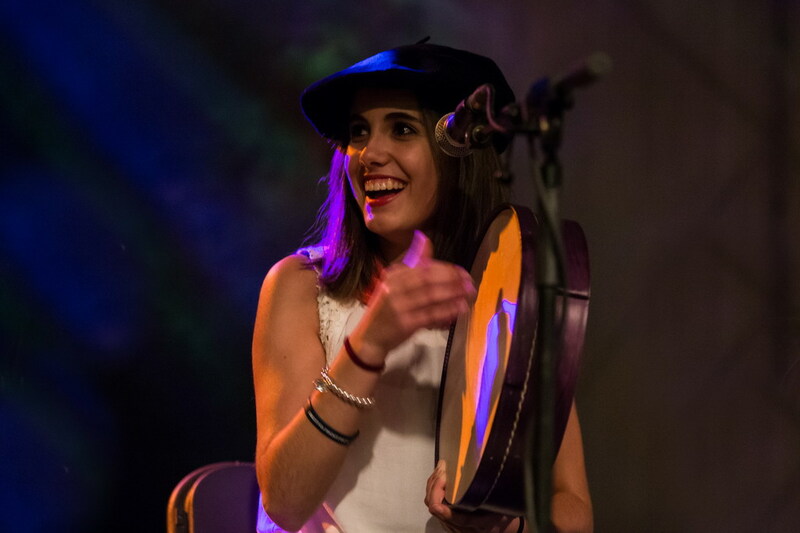 Someone who knows a lot about that musical affinity is Kepa Junkera, a musician from Bilbao and a musician from the entire world. He travels the globe with his trikitixa, a small traditional Basque accordion, – an instrument which, for more than a century now, has been creating happiness in the squares and streets of festive towns all over the place. 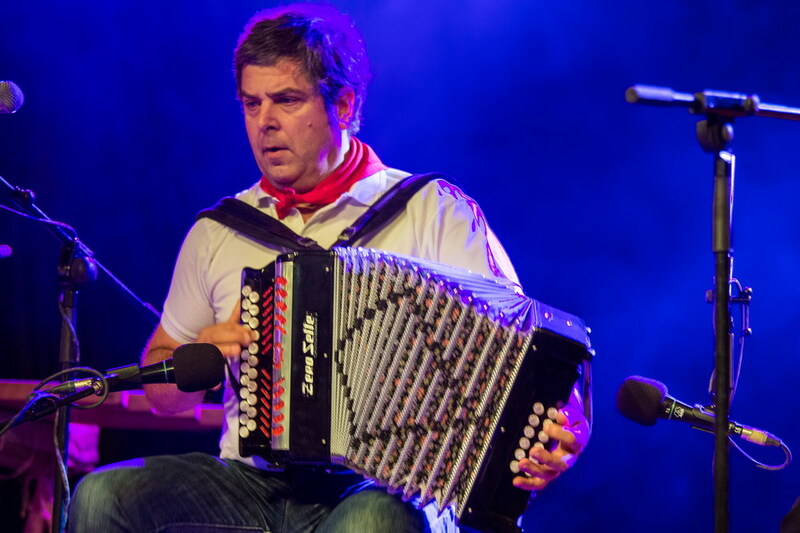 Kepa and his accordion have been telling their tales in Tokyo, Istanbul, New York, Buenos Aires, París, Stockholm… and an endless list of other cities which have been captivated by this ‘aviva fueguitos’ instrument. 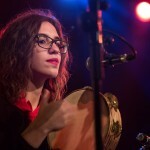 With the same instrument he has bewitched musicians of all styles and roots: Luz Casal, Carmen París, Antonio Carmona, Aran Malikian, Dulce Pontes, Carlos Núñez, The Chieftains, to mention some of the best known. This year Kepa Junkera has come to Pamplona with a very special Project with which he aims to continue to express his passion for the trikitixa as he conceives that instrument. Singing, dancing and playing. All in one. 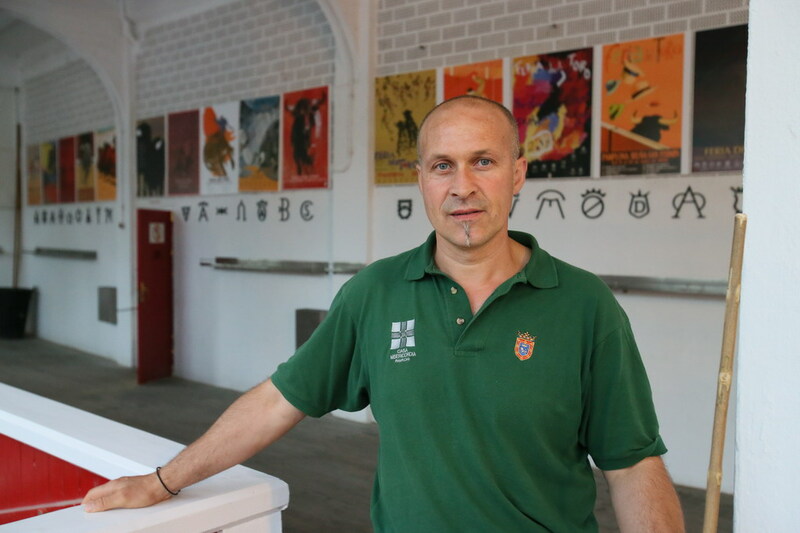 Kepa Junkera himself explained it to us just a few hours before the concert: “this is how I conceive the trikitixa. That is how it was transmitted to me by those who came before. I am going to try to present something new”. He himself learned from those strolling musicians who went from town to town playing the trikitixa and cheering up the lives of their people in towns and villages. Our grandparents are wont to relate how when they were young, in the towns, the highlight of the week was the Sunday afternoon dancing and singing in the square to the rhythm of the trikitixa and maybe drink a glass of wine (if they were lucky enough to have some money in their pockets) and try to get off with someone, which was never easy, even when you had set your eyes on that person. In those far-off days there was noWhatsapp, nor Spotify, nor Facebook… and the basic entertainment came from playing live music. 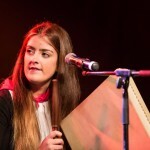 That is why, he has now introduced a group of ‘sorginak’ (witches) all in their twenties, who sing and play the tambourines as they dance which turns the stage into a veritable oasis of happiness. Seven Basque women and Kepa Junkera fanning the flames with his trikitixa. 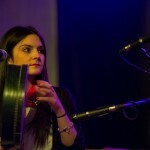 Amets Ormaetxea, Alaitz Escudero, Leire Etxezarreta, Irati Gutiérrez, Garazi Otaegui, María Lasa and Alaitz Aulestia: tambourine, voice, dance and percussions. 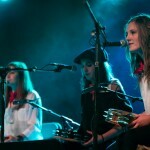 They played as part of the Euskal Musika (Basque music) program in the Taconera Park. They emanated loads of joy and happiness. The large audience sang along with the old songs, from our parents and grandparents time and even further back. A quality show, packed out and which left the whole attendance dancing to their heart’s content. “Red wine, water, sugar, citric acid and natural extracts from fruit and cinnamon, 5, 5 grades of alcohol”. This is the ‘industrial’ formulae of a sangría that is being sold in bottles of plastic. Nothing to do with real authentic sangría, of course, made from natural fruit (lemons, oranges, peaches), real wine, sugar … is left to steep for hours before consumption. They say that Hemingway was very fond of the stuff and for sure he would have tasted a lot of good quality sangria and not this bogus brew which is flooding the streets these days in Pamplona. 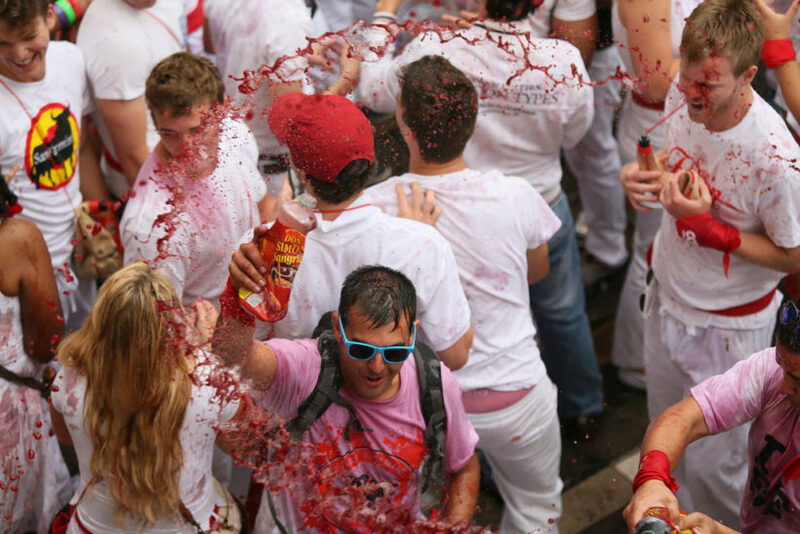 In Sanfermin, the sangría and the kalimotxo (red wine with Coca-Cola) soak bodies and streets relentlessly. A real natural- made sangría in any bar is going to cost its cost, so most people opt for a cheap next best thing that does, in fact, fulfil the function of alcoholizing the people and getting them in party mood without skinning their pockets too much. For many, nothing gives them more pleasure than to shower their friends with this same sangria liquid. At the Txupinazo, at the sunny side of the bullring, with the Peña clubs… it serves as an indispensable friend. Like it or not, you end up either drinking it or having a shower in it. And amid all the hustle and bustle, you are bound to come across a bottle of Don Simón sangría, made in the south of Spain by the century-old García Carrión firm. Sangría was brought to Spain by the English in the XIX century. And, like that other institution – The Spanish Omelet, everyone seems to have their own special recipe for it. Although these days it does not seem to matter too much how it actually tastes: lo the most important thing is the dancing and singing and acting the idiot. Drink whatever can get you worked up! The guiris (as the foreigners are fondly called here) who come to Pamplona are very appreciative of the traditions that we keep here: the guys tune up like hemingwaynes just recently come out of the gym while the gals remind us of some old Hollywood movies. They dress up in white, put on the red necktie, put on their big smiles and they complete the fiesta look with a wineskin which they usually fill with sangria and which they carry around at all hours. They take a swig from it when they feel like doing so and when the right moment comes, they throw some over the first person who passes close by. Many of these guiris, the youngest of them, go around in gangs, often wearing the very same tee shirt. They move around in packs, happy and cheerful, they sing, they laugh, they drink, they dance and they generally let their hair down.… as the local people look on in some surprise from behind a more temperate gaze. Then again, when the alcohol begins to work on both the visitors and the locals, guiris and locals both let their hair down in the same way and they both blend into the same wild party scene. Where are you from? This is your first time in Pamplona? 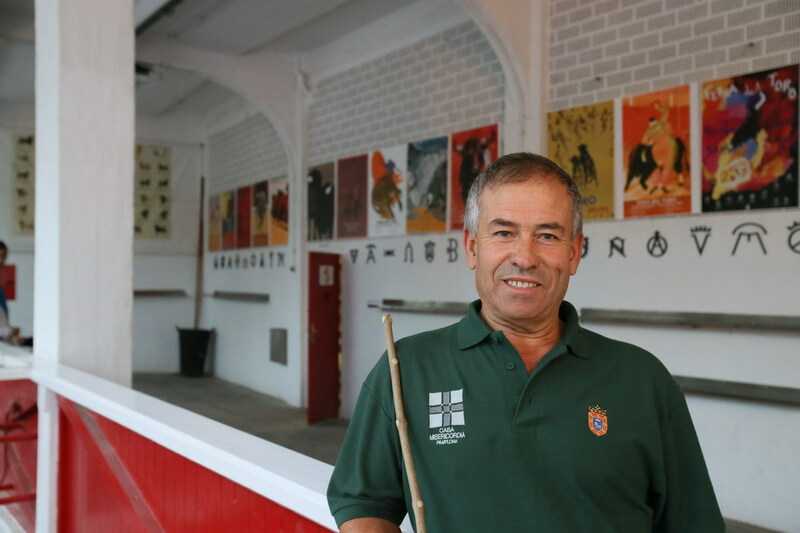 The bulls will run tomorrow here…with just a few simple sentences you can make friends with guiris in Sanfermines, because the actual conversation is the least important thing. 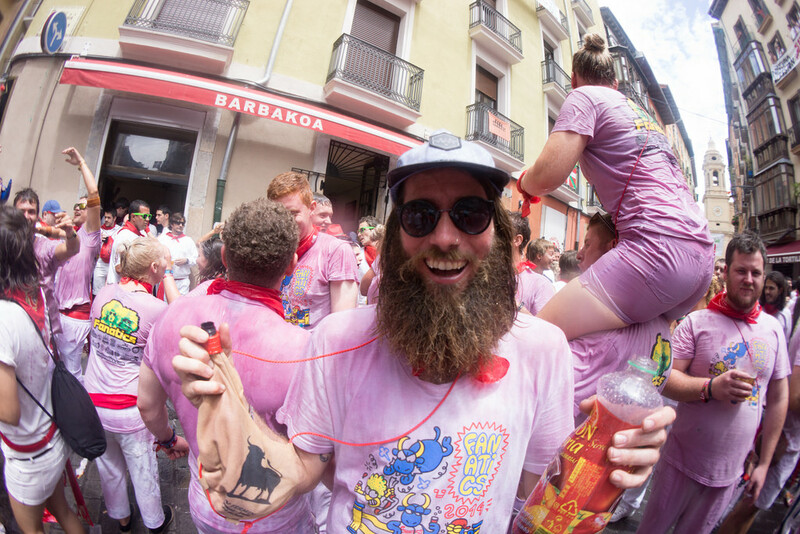 You drink a swig of something, the Txaranga brass band emits some music, you lift your glass of sangria, kalimotxo or beer in toast, and the music does the rest. Hemingway loved to be carried along by the human swarm. He gave a lucid account of the party mood in his recommendable novel, “Fiesta“, and all the guiris who hit the streets of the city seem to be following his steps and they seem to be equally fascinated by this carnival scene with its ancestral echoes. Without any doubt, the most singular thing about Sanfermin fiestas is the Running of the Bulls event. Scorned by some and glorified by almost everyone, this event generates enormous expectations that are not easily explained away. With two or three days to go before the opening of fiestas, the 48 bulls that feature in the spectacular bullrunning of little more than 850 meters over the eight days of fiestas – are already ensconced in their pens at the Corrales del Gas. Separated by their own particular bull-breed characterizations, they will spend the last few days of their lives here. Many people like to go down to the pens to have a look at them close up. Seen together and without any runners around them, they look even more powerful and bigger than they do on the course. There they stand, quite immobile with a look of deep concentration on their faces, like lions in the wild. At the slightest movement, their large horns seem to toss the very air. These wet damp days give them a heavy, mud-caked look. It is hard to believe that these are the same animals which will cover the whole distance of the course in a matter of 2 or 3 minutes. And yet they will, with all their 500 –odd kilos or even 600 kilos… the Miura… the Victoriano… the Doloresaguirre…. the Jandilla… anyone who knows anything about Bulls can easily distinguish these different breeds of bull…. As always in these dates, the phantom of death seems to hover in the street. 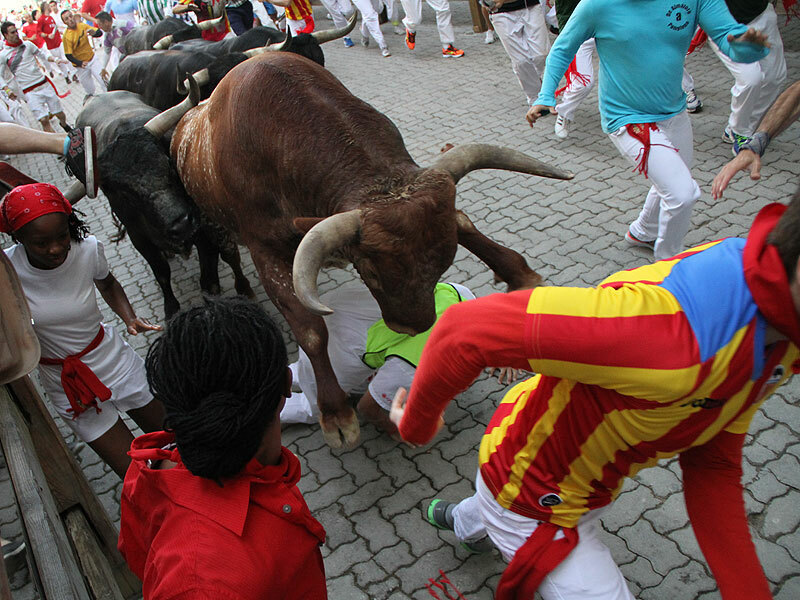 Up to the present, 16 young men have died in the running of the bull’s event. Most of these have been young men in their 20s, among them a Mexican and a North-American. But there have also been hundreds of injuries accumulated down the years. This year, in an instigation taken by several different groups, a metal post pole has been erected as part of the wooden fencing in memory of those “dead in the running of the bulls”. 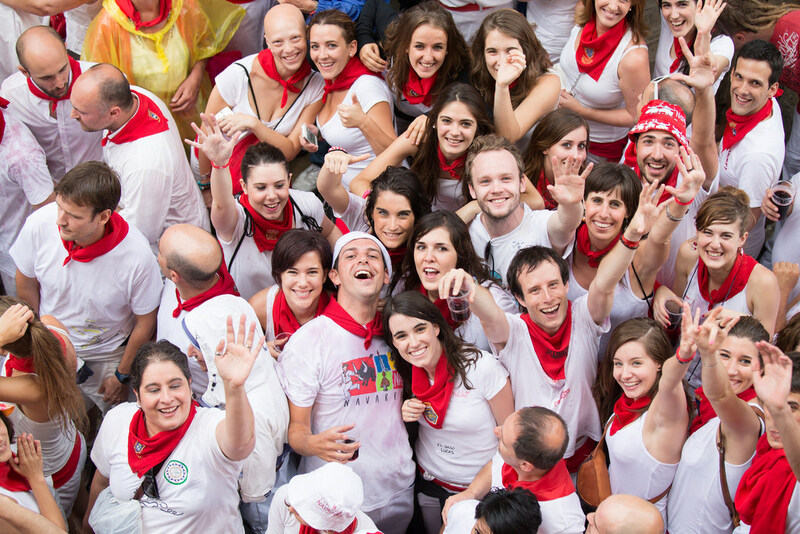 to experience the Sanfermin fiestas is to experience them in company. Without the mates the fiesta is not quite a fiesta. The gang of mates unites the longings for partying, absorbs potential bores, lifts the spirits and generally helps you to enjoy the whole scene even more. Having the gang means having a fiesta schedule that keeps things together: meeting up early on the 6th to have a brunch, be it in a bar, in a clubhouse, in a street corner. You drink together, you embrace, you walk together to the chupinazo opening event, and you carry your open bottles of sangria so that the cops will let you pass to the square without confiscating the drink and to prevent people throwing things. Except for the 6th, the gangs usually go out at night, after a long afternoon siesta, so that they can “give their all” at night and sleep it off all day. The “survival kit” in fiestas consists of an old cell phone so that nobody is tempted to steal it, money and keys kept in safe places (for the girls in their bra, for the lads in their socks). Something odd should also be worn, a funny hat, multi-color sunglasses, a false moustache… a headband…a gaudy necklace…every year there is some new trash to wear. You can always buy something ridiculous from one of those tall skinny Africans that sell on the streets. Before you know it, it is now 6.30 a.m.- the hour that the spirits begin to droop…you are knackered….and hungry…cold and shivering…and you have to wait until 8.00 for the Running of the Bulls! Some people stay on the streets, others go to the Bullring. There were always free seats there but this year, for the first time, it is necessary to pay 3 euros. When the bullrunning ends, they let loose the frisky small bulls. If some smart-aleck tries to catch the animal by the tail or tries to wrestle with it, you join in the general booing and jeering from the watching crowd that creates a sound that pierces your eardrums.